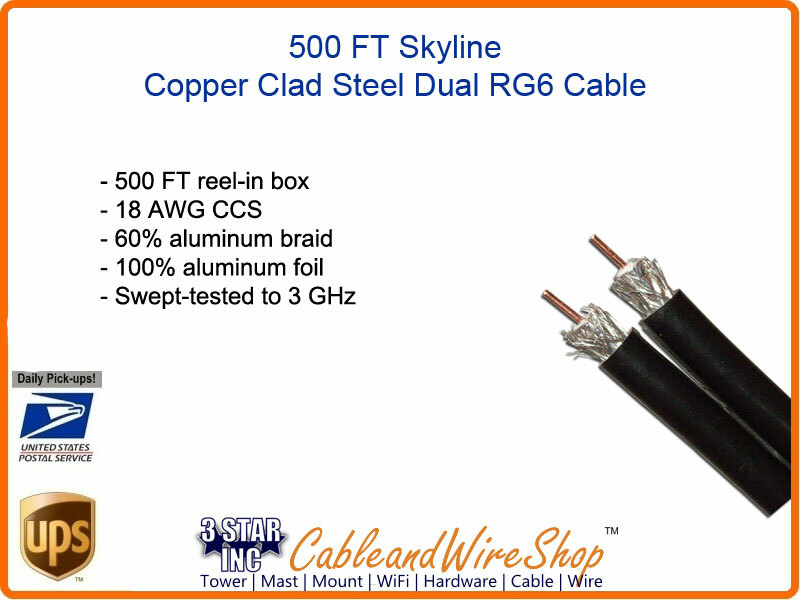 Note: Solid Copper Center Conductor - is the choice for Satellite TV installations. Make your installations easier by carrying RF and the power to your equipment integrally with the same cable. The Economical 60% Aluminum Braid protects the Video signal from external EMI and RFI.